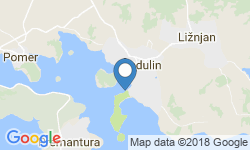 Sail into a lifetime adventure surrounded with beauties of the nature park Kamenjak and Medulin’s archipelago. 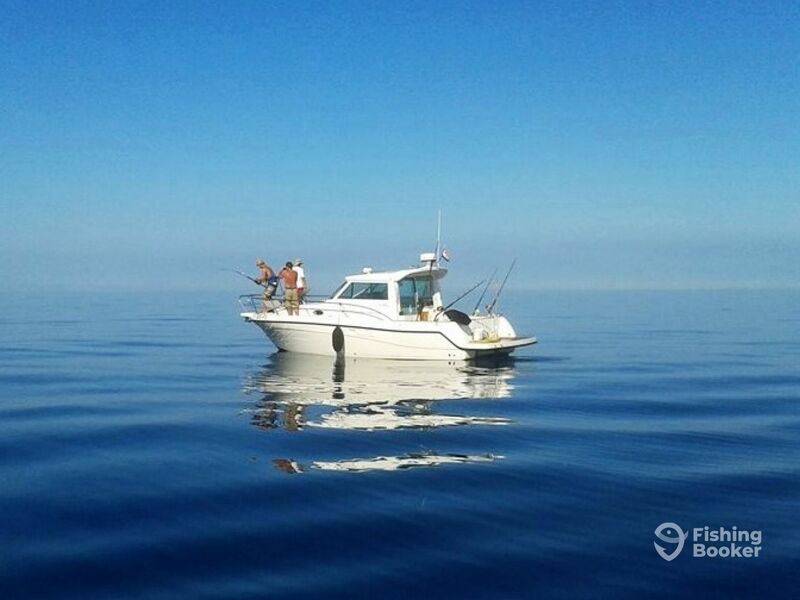 Enjoy the untouched clarity of the Adriatic sea until you reach the open waters where the real big game fishing begins. The Tunana Big Game Fishing crew will do their best to make sure you have an unforgettable time on the water. 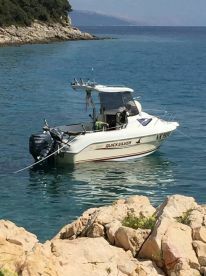 Their boat is a 31’ Faeton 920 Moraga that runs on a pair of 200 HP Yanmar engines. There’s plenty of room here for up to 4 anglers, so be sure to bring some friends along for the ride. 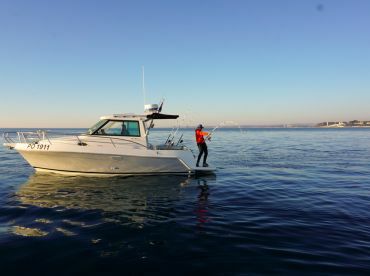 She’s got an air-conditioned cabin, a fighting chair, and all the necessary safety gear and navigation electronics to ensure a productive fishing trip. 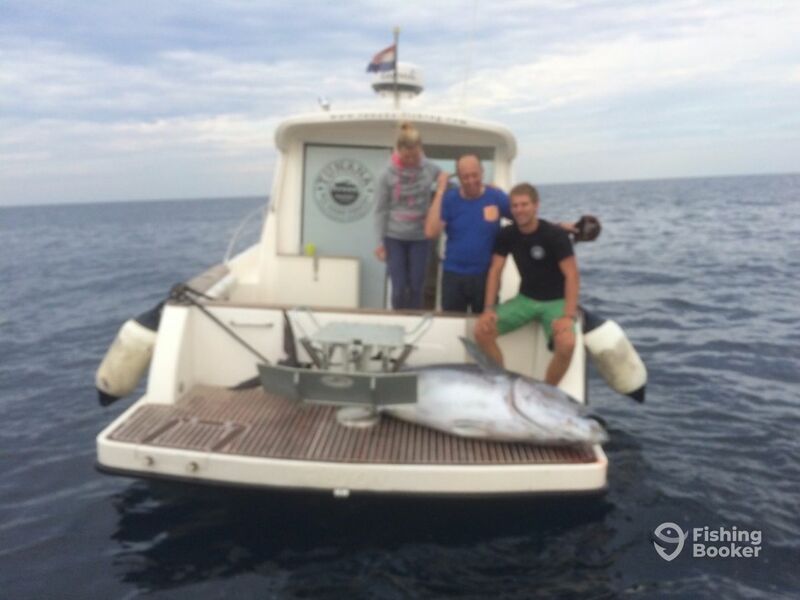 The main attraction in these waters is definitely the Bluefin Tuna. These are some of the toughest fighters you’re likely to encounter any time soon. 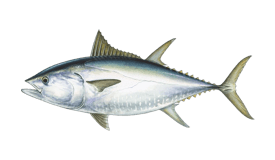 Catching them is a treat, but so is eating them if you’re a fan of good Tuna. All the rods, reels, and tackle you’ll need for going up against these fish are included in the price of a given trip. The crew will provide you with complimentary drinks and light snacks, so you’ll want for nothing. 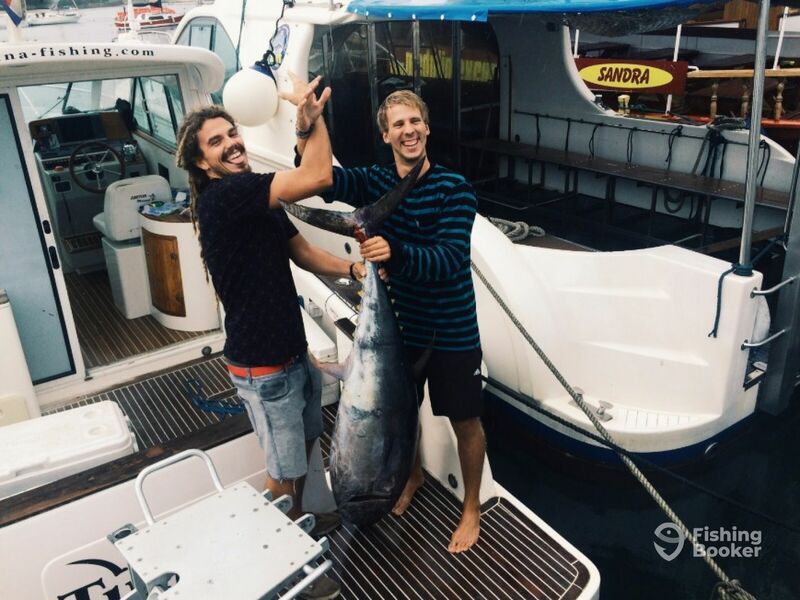 The Tunana crew – whose experience runs through four generations of professional fishermen – will make sure that after the all-day battle and the catch of a lifetime you get back to the coast with a story you will be proud of. Nothing beats a full day of big game fishing – that's a promise. 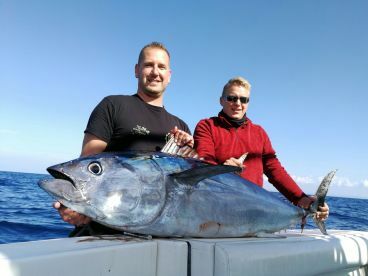 Everything you need to go after some huge Bluefin Tuna is included in the trip, from gear to drinks and snacks. Faeton (Walkaround) построена в 2003, обновлена в 2013. Мотор – 2 200 л.с. Yanmar. 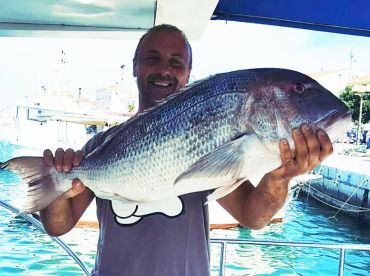 Когда капитан/гид подтвердит бронирование, FishingBooker зарезервирует средства на вашей кредитной карте (25%) в качестве депозита для гарантии бронирования.